VIVAT JESUS! This is just a reminder that due to our Regular Meeting night being on Ash Wednesday, our Regular Business Meeting has been moved to Wednesday, March 8th starting at 7PM in the St. Pius X Social Hall. 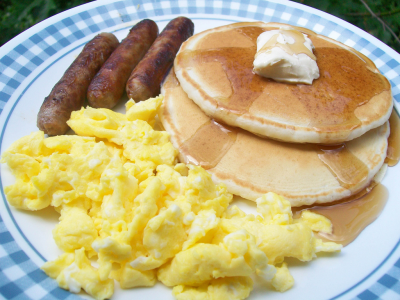 We have a lot of activities coming up (Charity Family Breakfast, Tootsie Roll Drive for Mentally Impaired Citizens, etc. ), so I hope that you can join us! 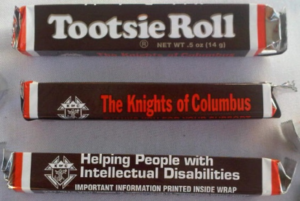 I’m attaching a copy of the flyer for the Tootsie Roll Drive for Mentally Impaired Citizens. Please print and hang it up at locations where we can get some visibility. We’re also looking for volunteers. Please considering helping us break our record from last year! Hope to see you all at our Business Meeting on Wednesday, March 8th (not March 1st)! God Bless! Tootsie Roll Drive on Palm Sunday Weekend – Need your help! On Palm Sunday weekend (March 18, 19 and 20) throughout Michigan, Knights of Columbus Councils will be out on the streets and at Church entrances soliciting donations to help people with mental impairments. Bernard P. O’Brien Council #3956 will be one of them… and we NEED YOUR HELP! On Friday, March 18th and Saturday, March 19th, we will be out at pre-approved street intersections in Southgate soliciting donations, and on Saturday, March 19th and Sunday, March 20th after every Mass at St. Pius X Parish, we will will be asking for donations (and passing out Tootsie Roll candies of course). We are asking all of our Brother Knights to take an hour or more this weekend and live in practice one of the pillars of our Order: Charity! Please come out and help us solicit donations, especially on Friday and Saturday. We are allowed to solicit donations from just after sunrise until just before sunset. 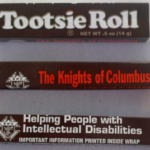 If you can help or have any questions, please email our Chairman Ron Wagner at TootsieRoll@kofc3956.org – Any time you can give us will be appreciated… not just by me, but by those with intellectual disabilities. Thank you, and I hope to see you all this weekend!! !